The mortgage industry has undoubtedly changed since the housing crash a few years ago. It used to be so simple to qualify for a mortgage — provide your basic information, sign a few papers, and move along! Unfortunately, getting a simple, fixed rate mortgage these days through the secondary market isn’t always easy-breezy. There are many factors the lenders look at, and all of your most personal financial information must be reviewed in order for the lender to make a credit decision. Some of the things the underwriters are looking for may surprise you, so here are 10 surprising facts about mortgages in today’s market. While underwriters do want to see that you have enough money to cover your down payment, they typically don’t care how much money you have in the bank. There’s a spot on a mortgage application for you to list your cars and other assets, but it really doesn’t matter to an underwriter because those things aren’t collateral for the mortgage. The thing that matters the most is your income. What I mean by that is this: let’s say you have one million dollars in the bank, but you only make $10 an hour. You want to finance a $300,000 home. Even if you have enough money in the bank to cover the loan, you aren’t going to get that mortgage if you don’t qualify for it on your income. Your debt-to-income ratio is of the utmost importance. Newsflash: the lender doesn’t care if you have 17 paid for Lamborghini’s in your garage, or 10 paid for houses for that matter. They worry about your income more than your non-liquid assets. You would think that learning to pay all of your bills in cash, saving up to buy your cars in cash, and not having a credit card and its corresponding debt would be a good thing when you are applying for a mortgage, but that’s not exactly true. If you don’t have a credit score because you’ve always been good with your money and never utilized credit, then it will be much harder for you to get a mortgage than it would be for a person who has 5 credit cards, 2 car loans, and 7 student loans with a higher debt ratio. Banks want to see documentation that you pay your bills on time and that you can handle having credit. This information comes to them in the form of a credit report, so if you don’t have a credit score, then you have to come up with different ways to prove to the lender that you pay your bills. This can make it tougher to get a mortgage. There are very few loan programs that exist that allow you to use what’s called “alternate credit” to prove your creditworthiness. If you do qualify for one of those programs, you must find 3 different companies you use that are willing to vouch for your creditworthiness. Examples include your utility company (if they are in your name), your cell phone company, or your car insurance company. Self-employed business owners are typically the hardest borrowers to get loans for because many business owners write off so much of their income, it looks like they’re bringing home nothing. Clearly that isn’t always the case, but it’s the only thing the underwriters can use to prove income on a self-employed borrower, and they won’t overlook something as important as tax returns. I once had a borrower come in who needed to borrow a substantial amount of money for his house. He supplied his tax returns because he was self-employed, and although I knew for a fact he made good money, he only showed $12,000 in income for the previous year. Well, I’m sorry Mr. Borrower, but there’s not much I can do for you there! You have to prove your true income to Uncle Sam and pay your taxes if you want to prove to a lender that you can afford the home you want to finance. Your debt-to-income ratio (DTI) is actually based on gross income, not net income. That means your income is based off of the total amount on your pay stubs and W2s prior to taxes and retirement deductions being taken out. Lenders make money off of you not paying down your mortgage, but taking the full term to do so. Documenting that you’ve paid your previous mortgages down will not help you one bit. It never ceased to amaze me, but if a borrower’s student loans are deferred, they can be excluded from the debt ratio. The thinking here is that if your loans are deferred, then you’re a recent college graduate and you should be landing a new job with a decent income. Mortgage brokers make money off the “front” and “back” of your loan, and most of the time, the borrower only sees the “front” part of the equation. The “front” part is the amount of the origination fee you may or may not be paying, and it always shows up on the good faith estimate. The “back” part is the money they make off of the rate you get. Sometimes mortgage companies will advertise, “No origination!”, but all that typically means is they’re tacking all of their fees onto the back of the loan in the form of a higher rate than they could actually get for you. In addition, these fees are just for giving you the loan. They don’t include all the money the lender makes off of you in interest over the life of your loan. As a rule of thumb, underwriters typically don’t worry about unpaid medical collections. Why? It’s because they figure if you’re sick, you’ll do anything to get yourself better as a matter of self preservation. That makes sense. However, even if you have several other collections, such as an old cell phone bill or a utility bill you never paid (unless it’s a judgment or seriously excessive), and provided that your credit score is decent, they likely won’t say anything about it. That’s not to say it’s a guarantee it will be forgotten, but in my experience, many times nothing was said to the borrower. In my opinion, if you demonstrate that you have trouble paying your bills (in the form of collections on your credit report), that should be a huge red flag to the underwriter, but it’s just not always the case if your credit score is still high enough. Many mortgage brokers do have the flexibility to leave work early from time to time, but this comes at a price because brokers are mostly commission-based, so they’re essentially self employed. If they aren’t closing loans, then they aren’t getting paid. That means they work a lot of evenings and weekends, too. Most borrowers work during the day, and many of them can’t (or won’t) take time off of work to go apply for a mortgage. Mortgage brokers often meet or take calls from their clients on the weekend or in the evenings when everyone else is relaxing at home. You must not quit your job, finance a new car, or charge up a credit card before you close on your new home. Basically, don’t do anything out of the ordinary. I say this with a little sarcasm because I’ve had so many borrowers over the years actually do all of these things after they’ve made application for a mortgage. You would think it would be common sense not to quit your job mid-application, but apparently it’s not because it happens. The lender pulls your credit again prior to your closing and they verify your employment as well, so make sure those aspects of your life are still in good shape before you close. Whether it’s a pleasant process or a painful one for you, be prepared to provide a lot of information to your lender. After all, you’re asking to borrow a lot of money, so they have a right to ask for a lot of personal documentation. 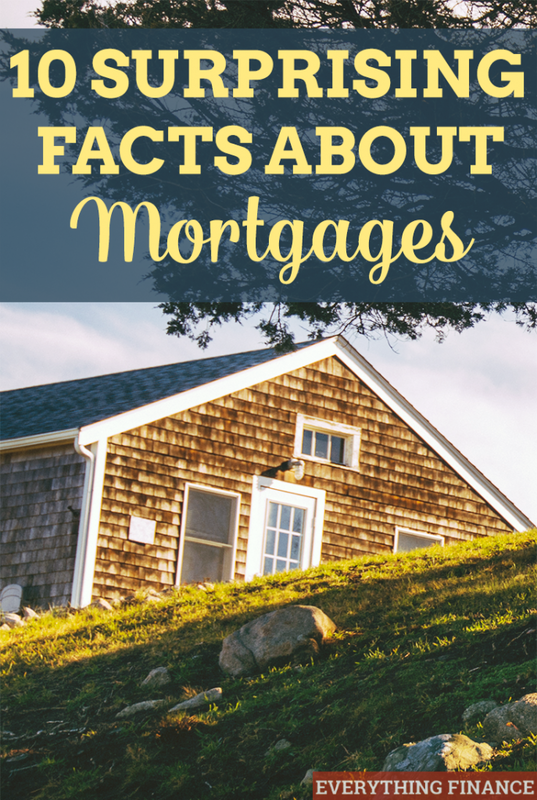 Have you ever had a lender ask for some piece of information that you thought was over the top? Some very interesting facts here. It’s so important to keep these things in mind when looking for a home. Thanks for sharing! Thank you for your comment, Alexander. What I found when I worked in mortgages for so many years is that assets are typically not viewed as important as you might think, even if you have enough cash in the bank to pay off your loan. Many times you only need mortgage reserves if you own multiple rental properties or you have extenuating circumstances in which the underwriter requires them, and even then, only certain types of loans require you to show reserves.